When fact-checking a particular claim, quote, or article, the simplest thing you can do is to see if someone has already done the work for you. This doesn’t mean you have to accept their finding. Maybe they assign a claim “four Pinocchios” and you would rate it three. Maybe they find the truth “mixed” but honestly it looks “mostly false” to you. 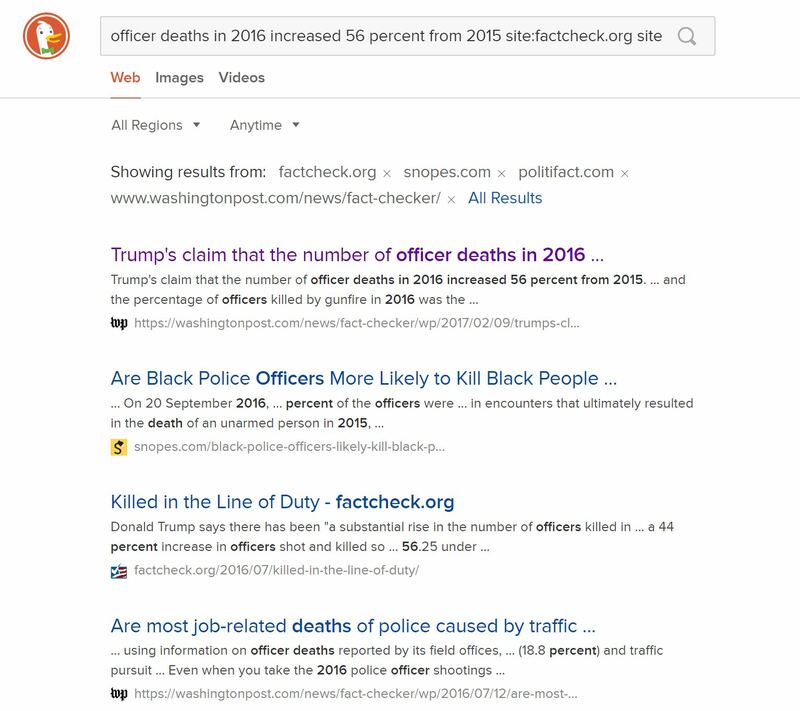 But regardless of the finding, a reputable fact-checking site or subject wiki will have done much of the leg work for you — tracing claims to their source, identifying the owners of various sites, and linking to reputable sources for counterclaims. And that legwork — no matter what the finding — is probably worth ten times your intuition. If the claims and the evidence they present ring true to you — or if you have built up a high degree of trust the site — then you can treat the question as closed. But even if you aren’t satisfied, you can start your work from where they left off. You can see the search here. You see that work has already been done in this area — in fact, the fist result from Snopes answers our question pretty fully. 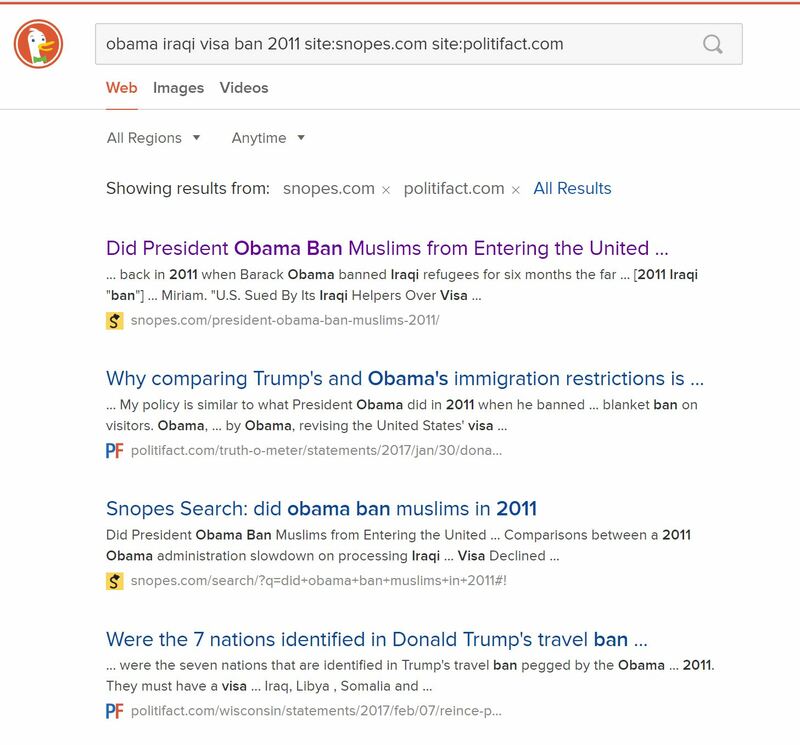 Remember to follow best search engine practice — scan the results, looking at the URLs and the blurbs to find the best result to click in the returned result set. There are similar syntaxes you can use in Google, but for various reasons this particular search is easier in Duck Duck Go. Going to the Washington Post site we find out that this claim is for all intents and purposes true. We don’t need to go further, unless we want to. How to Use Previous Work Copyright © 2017 by Michael A Caulfield. All Rights Reserved.